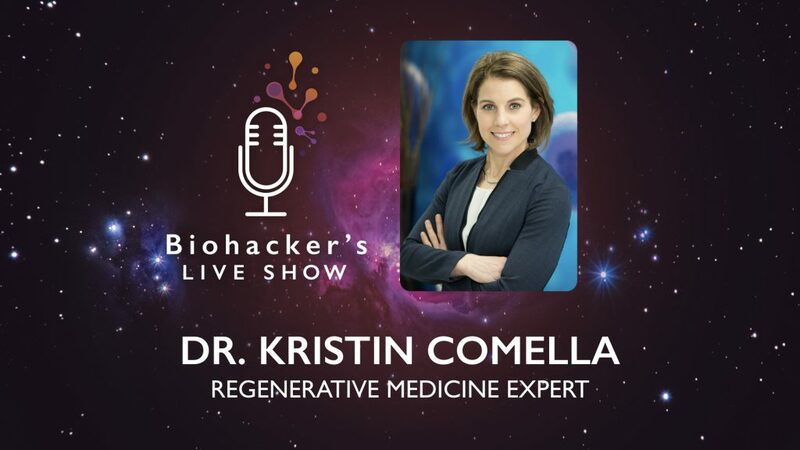 Kristin Comella, PhD is a world renowned expert on regenerative medicine with a focus on adipose derived stem cells. Dr. Comella has a PhD in Cell Science and holds both an MS and BS in Chemical Engineering. Her professional experience includes positions in several companies including US Stem Cell, VetBiologics, Tulane University, and Osiris Therapeutics. She is currently serving as the Chief Scientific Officer and board member of US Stem Cell, a publicly traded company focusing on the discovery, development, and commercialization of autologous cell therapies for the treatment of degenerative diseases. She has been responsible for the development and implementation of cell therapies in the clinic for a variety of different indications for more than 7000 patients. Furthermore, hundreds of practitioners world-wide have provided stem cell treatments to their patients using Comella’s protocols. pain through 12 months. Stem Cells. Jan;33(1): 146-56. Back pain affects millions of people and results in billions of dollars in lost income and medical expenses annually and degenerative changes in lumbar discs are so ubiquitous that they are considered “a normal aging process”. Degenerative disc disease induces chronic back pain with limited nonsurgical options. Recently, a regenerative medicine approach to the repair of damaged or chronically inflamed tissues has been sought as an alternative to invasive surgery or pharmaceuticals. The purpose of this study was to evaluate the use of autologous bone marrow concentrated cells (BMC) to treat moderate to severe discogenic low back pain. 26 patients with following criteria: centralized chronic low back pain that increased with activity and lasted at least 6 months. All patients underwent a preinjection medical history and different kind of physical examination. All other patients were injected based on MRI scanning. MRI scans were repeated at 12 months. Bone marrow aspirate (BMA, 55 ml) was collected from the patient’s own iliac crest. Although there was statistically significant reduction in ODI and VAS (pain indicators) scores at all post‐treatment time points for all demographics. Only five patients did not improve by at least 25% in ODI and VAS by 3 months and two patients elected to undergo surgery. Rehydration of the discs in eight of twenty patients according to MRI in conjunction with sustained pain relief through 12 months represents promise for the use of this regenerative medicine approach. Statistically significant improvement in pain scores and impairment was demonstrated in 21 of 26 patients, with the most dramatic improvement in patients with higher CFU‐F = colony-forming unit fibroblasts = cell type which is able to give rise in vitro to fibroblast colonies. There were no reported adverse events at the aspiration site (iliac crest) or injection site (disc) for any patient in the study. At 12 months, MRI provided no evidence of new or increased herniation related to the injection with the 22 gauge needle, nor signs of osteophyte or other heterotopic tissue formation. Comella K, Silbert R, Parlo M. (2017). Effects of the intradiscal implantation of stromal vascular fraction plus platelet rich plasma in patients with degenerative disc disease. J Transl Med. Jan 13;15(1):12. Stem Cells Journals app for iPhone for staying up to date with Stem Cell research. Essential Anatomy 5 app for diving deep into human anatomy.